Nicolas Martin has launched a social media campaign condemning restaurants in the area “who do not offer Bordeaux [wine] on their wine list”. This accounts for 10-20% of establishments in the region, he said. He was prompted to start the campaign after taking an Australian friend to a restaurant “that had a good reputation in the town”, he said, and found that there was no Bordeaux wine on the menu. Mr Martin said that when he spoke to the restaurateur about it, the latter said the wine list simply matched the food, which was very “international”. Restaurants often spend a lot of time and effort creating menus using local ingredients, Mr Martin said, but do not apply the same ethos to their wine lists. Christophe Chateau, communications director at Bordeaux wine council Le Conseil Interprofessionnel du Vin de Bordeaux (CIVB), agreed with Mr Martin that around 10% of local restaurants were not serving local wine. Mr Chateau admitted that many people felt that Bordeaux wine had a reputation for being expensive and old-fashioned, but reminded people that some very reasonable and modern varieties could be had for as little as €5-6. 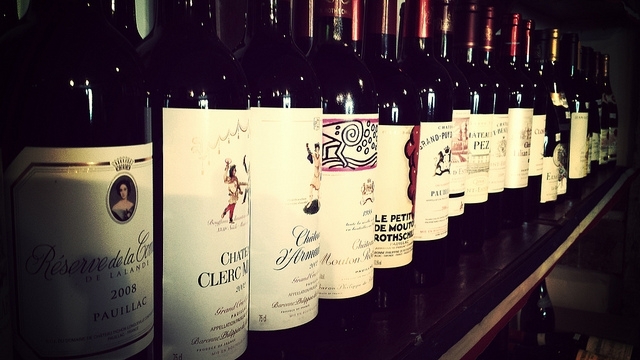 Nicolas Lascombes, a restaurateur who runs eight restaurants in Gironde and has a 50% Bordeaux wine list, said: “We have to watch out that we are not losing our Bordeaux heritage for the sake of one or two euros. The CIVB has now set up a meeting with hospitality union l’Umih (Union des Métiers et de l'Industrie de l'Hôtellerie), to help “find solutions” for Bordeaux restaurateurs on the issue.